At first we will discuss about homogeneous dam. We know homogeneous dam consists of homogeneous material which leads to even distribution of erosive force generated by seeping water. But while we are speaking about homogeneous, the degree of homogeneity also has to consider. Say materials may be same type but the compaction control may not be same. Thus though material is identical but homogeneity is not achieved both in embankment and embankment foundation. This consideration came from practical experiences, as for large dam the compaction control and as well material uniformity are very difficult. As a uniform media of seepage can’t be furnished both in embankment and its foundation, flow established is not also uniform. This results concentration of seepage force and as usual they make their way through weakest portion and piping phenomena progressive. Concentration of seepage force produce concentration of seepage velocity and quantity as well while total seepage can be small. The concentration when comes out in downstream portion of dam, exert maximum erosive force on surrounding particles. When such erosive forces become successful to remove small portion of embankment or its foundation, the seepage concentration becomes stronger and inevitably associated with accentuated erosive forces. Now we will learn about backward erosion, which provides the most serious damage to the embankment and foundation as an impact of piping. This is a progressive erosion of embankment and foundation materials but direction is backward i.e. toward the reservoir. 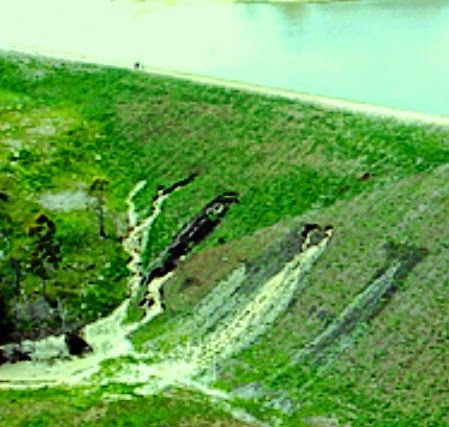 This backward erosion started from the point water is discharged by seepage activity toward reservoir resulting gradual widening seepage channel. This process is continued until final stage is reached. We can easily imagine, the final stage is complete failure due to piping. Now leaks are required to lead to piping failure. The leaks we are discussing may be of different size and may have wide variety of development rates. 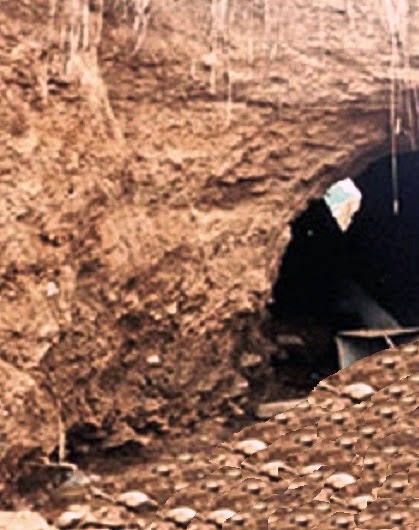 Dear reader in our next post we will learn about leaks that can lead to foundation failure of embankment and also piping behavior of zone dam.